Watch this brand new CFE video on how farmers help protect the environment, featuring some familiar faces from our Allerton Project. GWCT advisor Mike Swan tackles questions on brood cover. 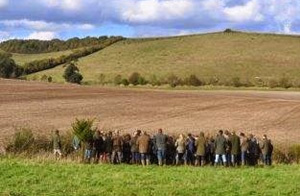 Peter Thompson on working with students from the Royal Agricultural University on the Marlborough Downs. Find out how you can buy the ideal Christmas gift and help our vital woodcock research. Peter Thompson spends an enjoyable couple of hours at the Blackmoor estate’s apple day. 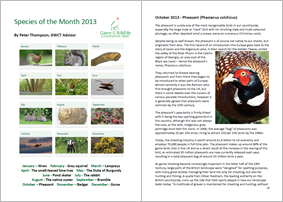 Download your FREE 25-page eBook containing Peter Thompson's very popular 'Species of the Month' articles.